Limited edition screenprinted by Jon Langford hisself. Oft performed, never recorded...here's a raw-kus collection of covers from the ample arsenal of the Wacos. 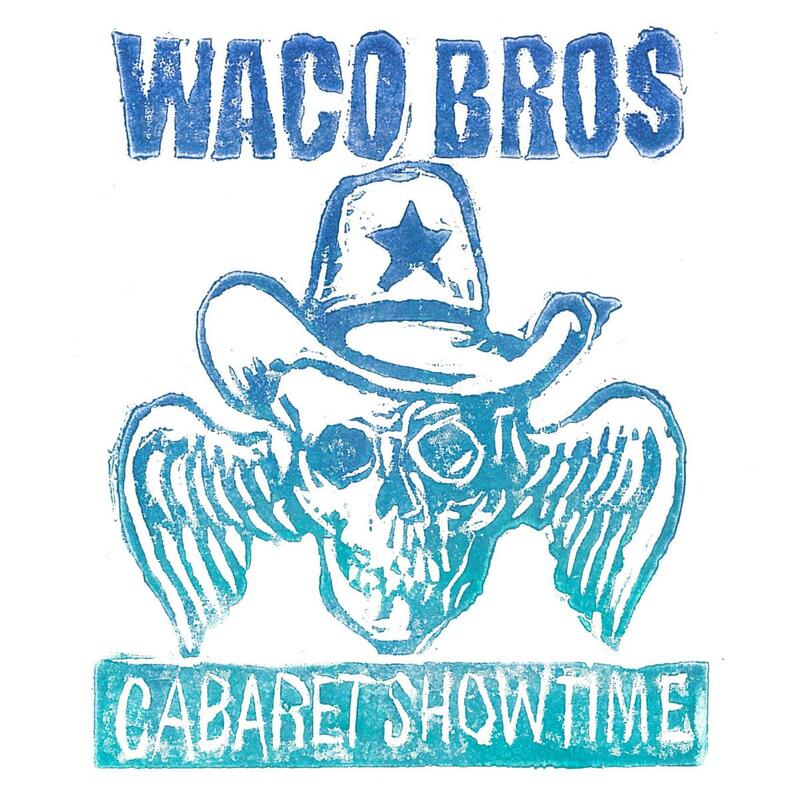 A recurring feature of Waco Brothers long and emotional live performances is CABARET SHOWTIME... this is the point in the set where the fraternal five, reduced to mere shells of themselves by all the kicking and creative bile, resort to a medley of mutilated cover versions in an effort to take the crowd higher baby! Oft performed, never recorded...here's a raw-kus collection from the ample arsenal of the Wacos. The Wacos bring their wall of bluster sound to songs by such country music stalwarts as Buck Owens, Johnny Cash Gram Parsons and T. Rex. In addition to studio performances, there is a live 3 song "suite" capturing the Brothers in their element---on a stage in front of a pack of like-minded maniacs. Features their frequent show-ending exultant version of "Folsom Prison Blues." Closing out the album is a Waco original just for you this holiday season: the oddball low-fi pirate dirge "Merry Christmas to Me." Limited and numbered edition of 500 screened by Jon Langford hisself with with environmentally groovy water soluble ink. Don’t take it out on a rainy night or use as a coaster!!! This album isn’t for country purists. But purists have never been The Wacos’ top demographic target.